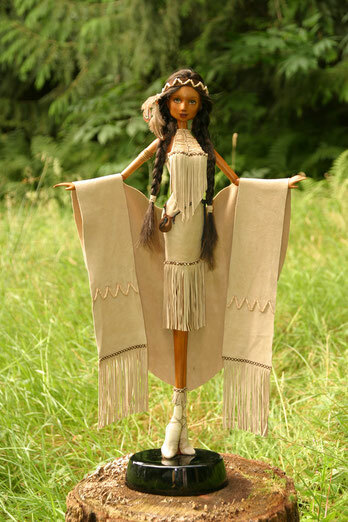 Native American Wood carved statue/doll, she stands 22" tall and has 7 moveable joints at the head, shoulders, elbows and wrists. 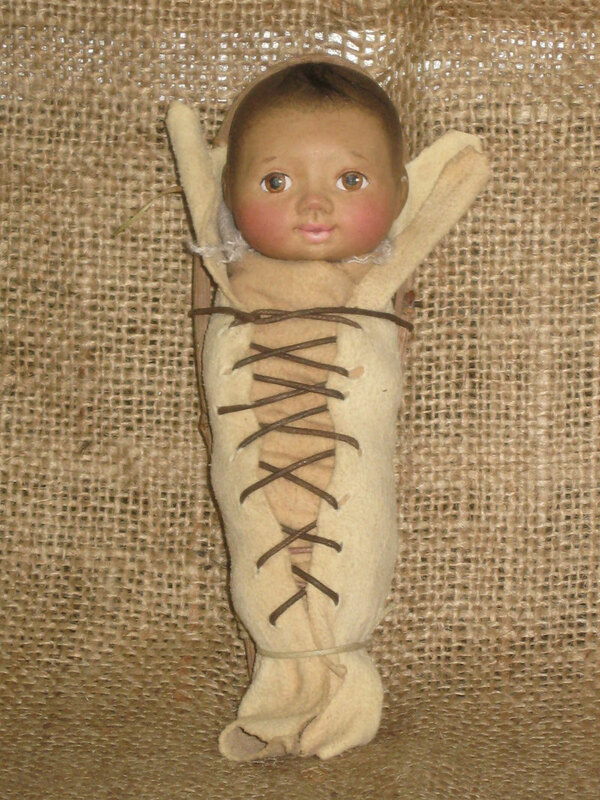 Dressed in soft goatskin suede beaded by hand her face is hand painted.. The tiny medicine bag is made by the people of the XA:YTEM Longhouse Center. 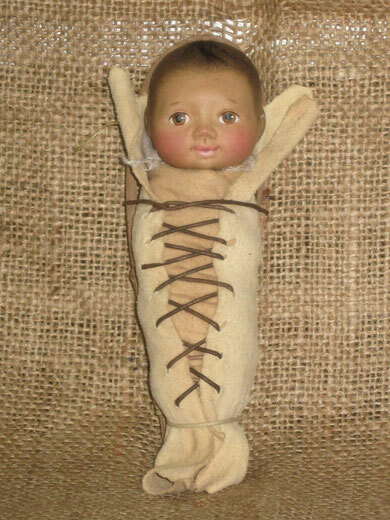 The little papooses is a perfect fit for this aboriginal girl at 6" in length, head is carved from maple wood and hand painted, the hair is hand painted with a tuft of mohair to give it a more realistic look. the backboard is made from local birch covered with goatskin and leather ties. As these are all hand made each dress for the aboriginal girl may be slightly different but the quality will always be maintained. These pieces can be sold separately or as a set.